Drinking Waters is South Africa’s largest provider of indoor drinking water fountains and offers a large selection of water dispensers that are typically found in gyms, factories, schools and other facilities. Ensuring that all environments are equipped with a convenient means of refreshing drinking water is a top priority of ours. Our wide selection of drinking fountains are robust and built to stand that test of time. Drinking water fountains are connected to the mains water supply and can come with a built-in water filter. Generally, they come fitted with a bubbler and also with a glass-filler. These water dispensers are a cost-effective, long-term hydration solution suitable for a number of indoor and outdoor environments. Another advantage of a drinking fountain is that they come fitted with an external drip tray and are the perfect alternative to bottled water coolers. We can guarantee that our drinking fountains are made from high quality, robust stainless steel making them ideal for high usage environments. If you purchase a cheap, poor quality products that are available on the market you can’t expect the product to last. This is why at Drinking Waters , we only stock internationally renowned manufacturers like Elkay. Drinking water fountains often come with a common misconception that they can supply an unlimited amount of chilled drinking water. The leading manufacturers test their equipment to view the general output that the drinking fountain is able to produce in an hour. 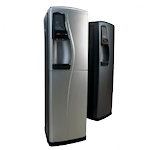 This is why it is essential that when you consider a drinking fountain you should consult with an expert to assist you finding the right water dispenser for your environment. 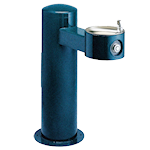 Take a look through our selection of drinking fountains and let us help you find the right water dispenser for you. You can contact us on 021 813 6631 or you could fill in our contact form and we will get back to you.